This protective, RFID-blocking aluminum card case contains 5 of the 1 oz Silver Cards by Pyromet. 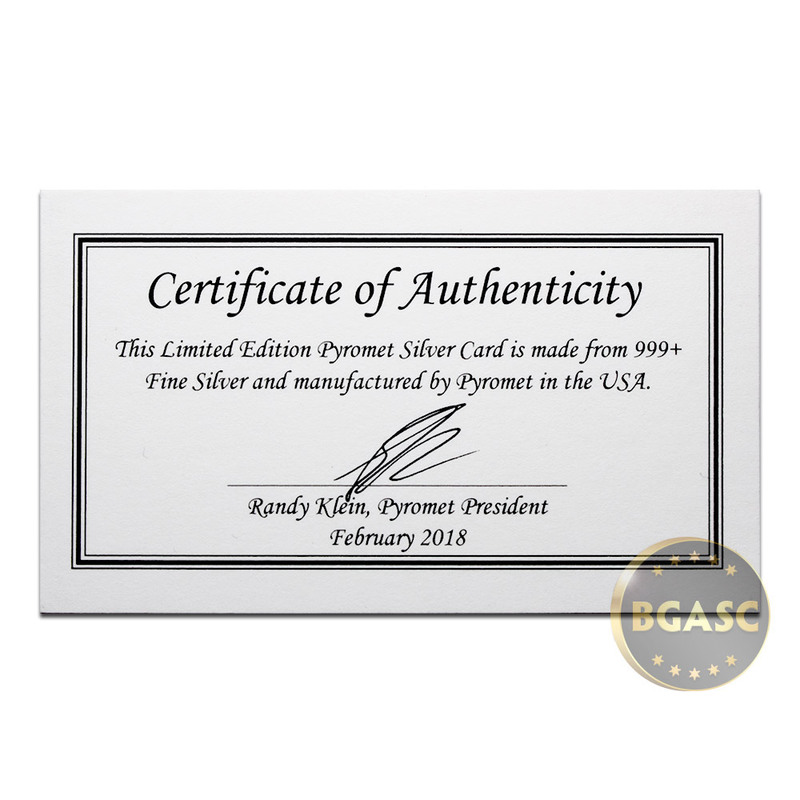 Protective sleeves and Certificate of Authenticity for each card are included. To purchase 1 oz Silver Cards individually, click here. 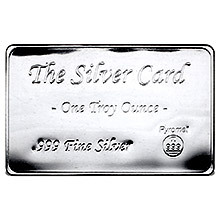 The Silver Card by Pyromet is a thin, 1 oz piece of .999 fine silver that fits in your wallet. 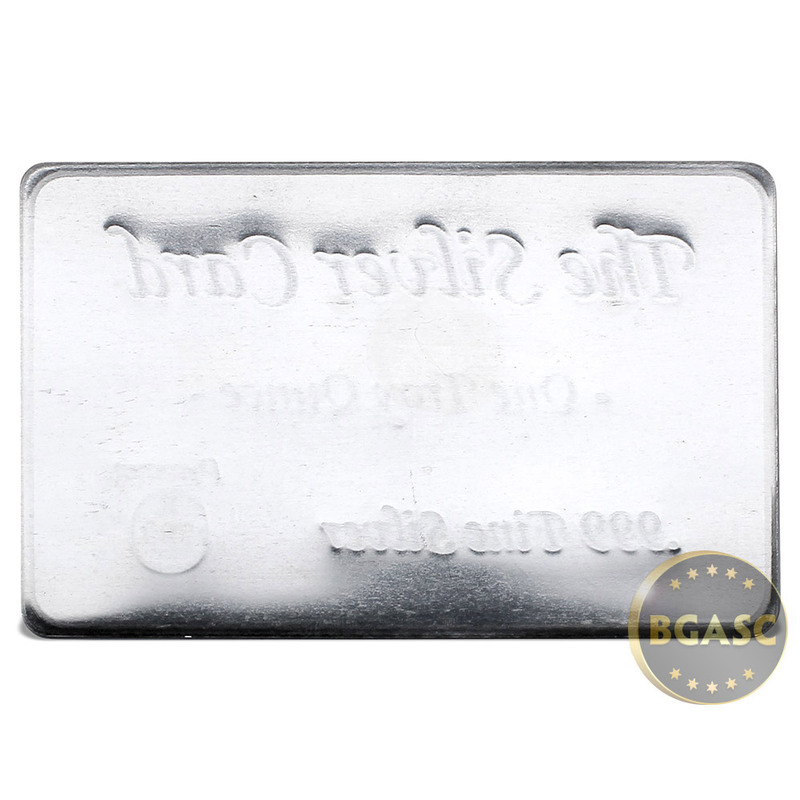 Roughly the size of a credit card, The Silver Card is basically a 1 oz silver bullion ingot that is easy to keep on you at all times. 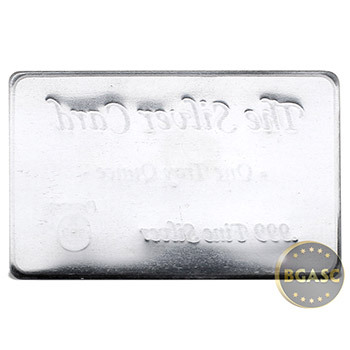 The Silver Card makes a great gift and is thin enough to cut with a pair of scissors if you want to divide it up into smaller, fractional silver pieces. 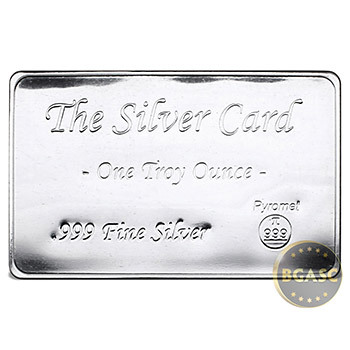 The face of The Silver Card features an attractive polished, mirror-like surface and is stamped with the inscriptions, "The Silver Card", "One Troy Ounce", and ".999 Fine Silver" as well as Pyromet's name and hallmark logo (a circle containing the mathematical symbol for Pi over 999). 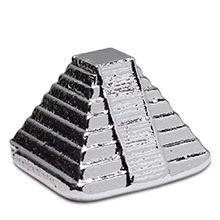 The Silver Cards do not contain RFID (Radio Frequency IDentification) chips, however many new credit/debit cards and driver's licenses now have these chips embedded in them. The RFID chip contains personal and account information that identity thieves can access by simply passing by you on the street or in the market. 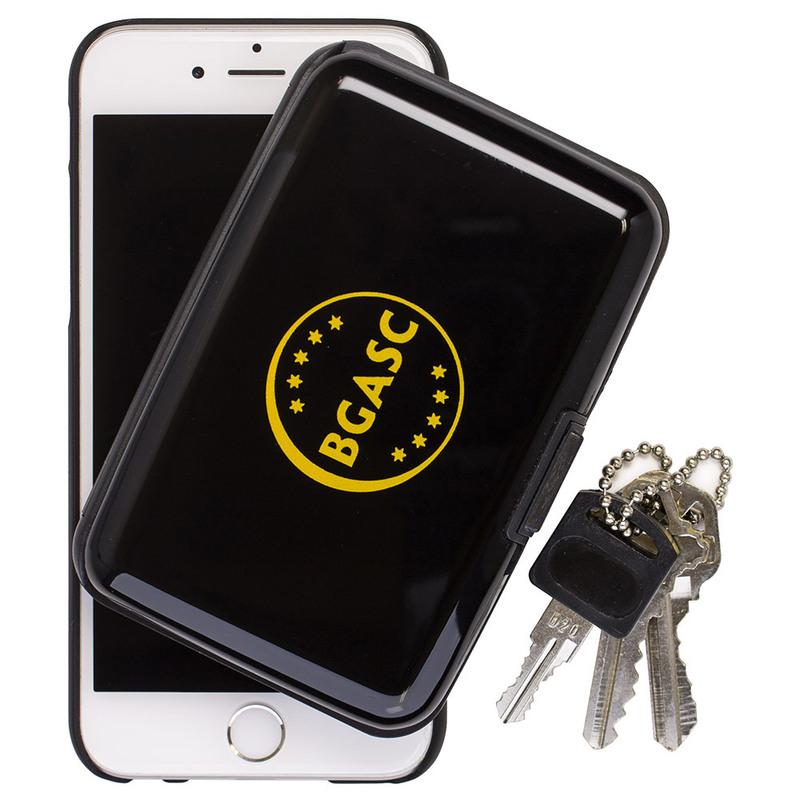 These BGASC aluminum card cases block those frequencies, so if you decide to use this card case as a wallet, you can rest assured that your information is safeguarded until you're ready to swipe your card. 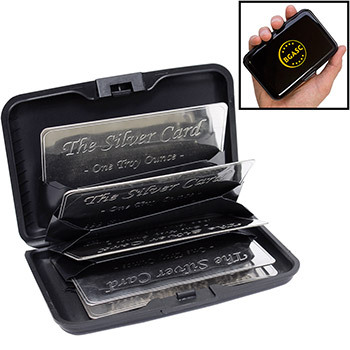 The Silver Card 5-Pack in Security Case makes the perfect gift for fellow precious metals investors as well as friends and family members whom you may want to inspire to learn more about investing in silver. Each Silver Card comes with its own Certificate of Authenticity from the manufacturer. 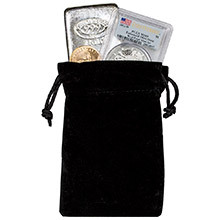 For gift presentation, you may consider purchasing our 4x6 Velveteen Treasure Bag. 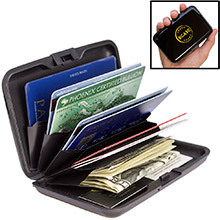 We also offer the Card Storage Security Hardcase sold separately. 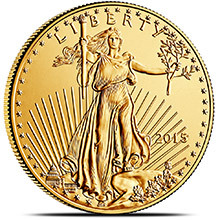 Pyromet is a privately owned Precious Metals Manufacturer and Refiner of Silver, Gold, and Platinum Metals. 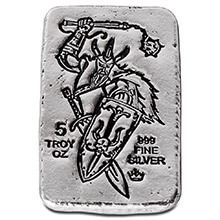 Pyromet's founder Jay Miller began the business in a Chester, Pennsylvania garage in 1969, and made his mark in the industry when he developed a patented process for purifying silver that many silver refiners continue to use to this day. 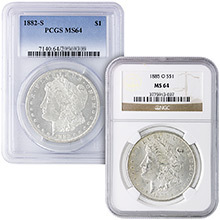 Pyromet, now owned by a few long-time employees, offers a handful of finished products for precious metals investors. 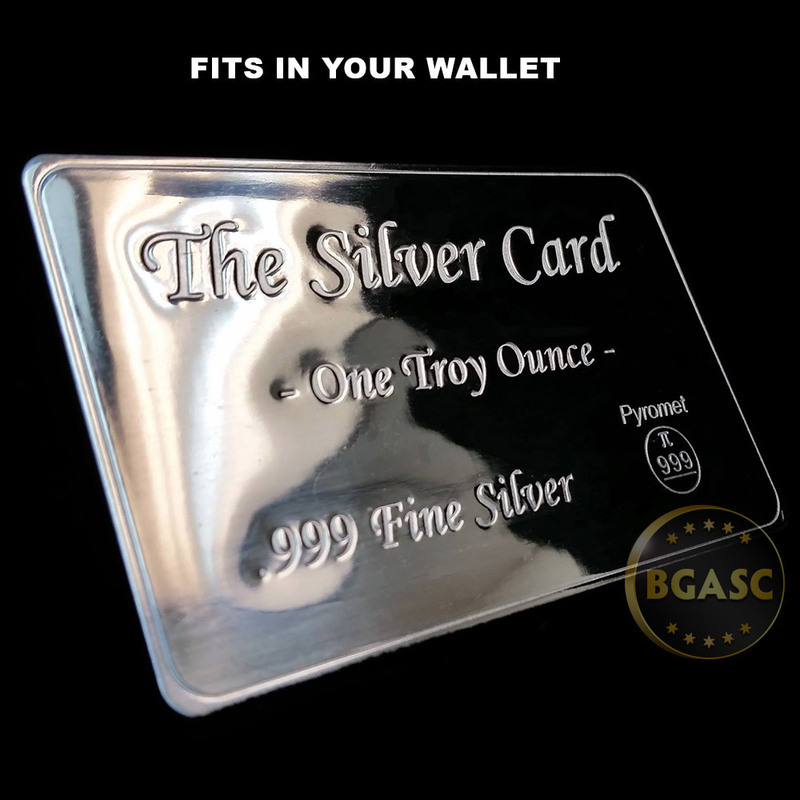 BGASC is proud to offer high end, authentic silver products such as The Silver Card by Pyromet that you may conveniently purchase 24/7/365 right here, online, at BGASC.com. 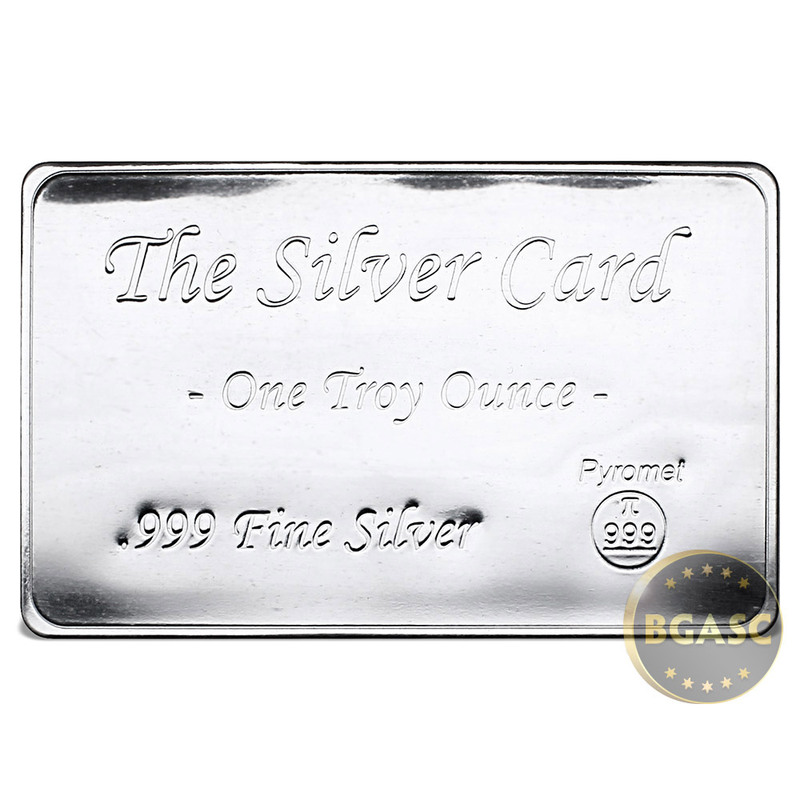 If you need assistance or have any questions about The Silver Card or any other products we offer, feel free to contact us and one of our friendly and knowledgeable staff will be happy to assist you. 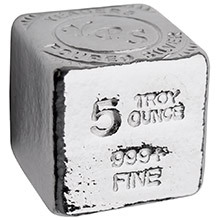 2.875" x 4.25" x 0.625"